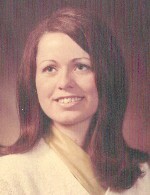 Carol Marie L’Hote, nee McElligott, 70, of Mascoutah, IL, born August 7, 1948, in East St. Louis, IL, died Saturday, February 2, 2019, at St. Elizabeth’s Hospital, O’Fallon, IL. Carol was a legal secretary at Carmody MacDonald P.C. in Clayton, MO. Carol was a kind and gentle woman who had a love for learning and valued the importance of education. She brought a smile and joy to everyone around her and had an unquestionable faith in God’s love. She was preceded in death by her father, James McElligott; a sister-in-law, Colleen McElligott; and a brother-in-law, Bernard John L’Hote. and many aunts, uncles, cousins, and nieces. Visitation: Friends may visit with the family from 4 to 8 p.m. Thursday, February 7, 2019, at George Renner & Sons Funeral Home, Belleville, IL, and from 9 to 10 a.m. Friday, February 8, 2019, at St. Peter’s Cathedral, Belleville, IL. Funeral: A Mass of Christian Burial will be held at 10 a.m, Friday, February 8, 2019, at St. Peter’s Cathedral, Belleville, IL, with Msgr. John Myler officiating. Carol L'Hote, you were always so kind to me. Whenever we saw each other we would talk and laugh. I will miss you. My condolences to your family. My deepest sympathy to each of you for your loss. Although I just knew her for a short time, Carol was a very kind lady and I know she will be missed by all. Each of you are in my thoughts and prayers for God to wrap his gentle arms around you and bring you peace. All of our love and prayers to all of you. Carol was a hard worker and loved her family so much. She can now rest with the angels and be at peace. Prayers go out to Carol's family. I enjoyed working with Carol. She always had a smile on her face. She was a kind and gentle soul. You will be missed Carol. Carol was a wonderful person and co-worker. I will miss her poems and her quick wit. See you soon my friend. Rejoice my dear cousin for God is holding you in the palm of his hand.